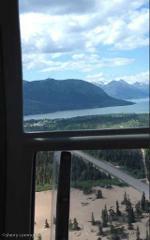 Helicopter tours in Juneau and Skagway get weather cancelled on a regular basis. If you schedule your helicopter ride in the Yukon you will not be let down, as the weather is often better when we drive over the mountains and into the interior. 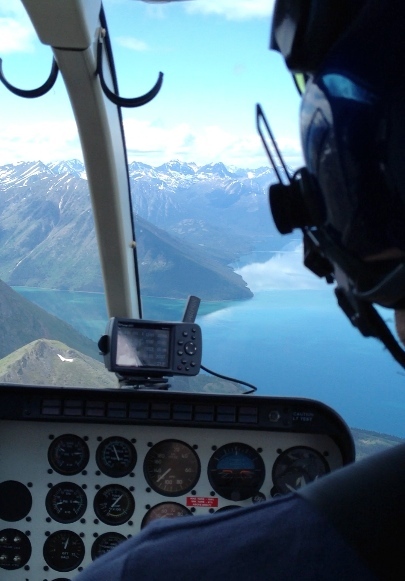 Experienced Yukon pilots will take you on the flight of a lifetime over Montana Mountain, a volcanic crater lake, massive Lake Bennett, and the winding Watson River. 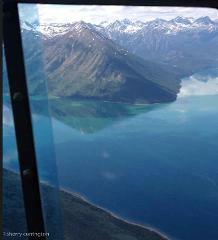 Your flight will take off and land nextto the surreal Carcross desert. 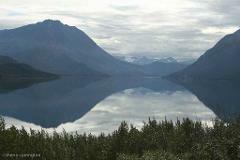 Look for caribou, moose, bear, Dall sheep, mountain goats, eagles and back country hikers. This tour is best scheduled in advance, but last minute bookings may be possible. Helicopters take off from Caribou Crossing. If anyone in your group does not wish to fly like an eagle, there are plenty of options to take advantage ofat Caribou Crossing*, such as dog sled rides and demonstrations, sled dog petting, wildlife museum, RCMP museum, gold panning, hobby farm, gift shop, cafe, and if the timing is right...PUPPIES! 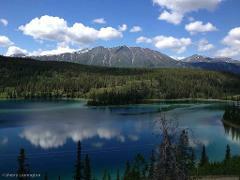 15 minute helicopter ride @$149 ea (plus GST) with a 2 person minimum will be added to the price of the 6 hour Emerald Lake Tour ($750). 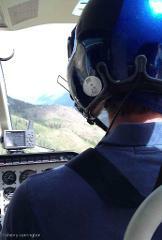 THE HELICOPTER FLIGHT WILL BE CHARGED SEPARATELY DIRECTLY THROUGH CARIBOU CROSSING. 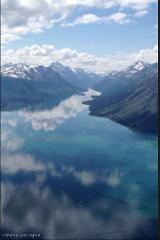 WE WILL CONFIRM AVAILABILITY AND ARRANGE FOR YOU TO PAY IN ADVANCE AFTER BOOKING WITH SKAGWAY PRIVATE TOURS FOR THE FLIGHT PORTION. to visit Caribou Crossing and experience their fantastic wildlife museum, dog sled demonstrations, dog cart rides, pet a puppy/sled dog, go gold panning, or take a helicopter ride all for additional fees.